Lake of the Ozarks Wedding and Event Venue! This is a excellent place to hold a event the owners go out of there way to make sure you have a wonderful experience. I would highly recommend this place for any event you have coming from wedding receptions, birthday parties and a limousine if you need it !! Awesome!! Having our sunset on the water wedding was perfect. Gina had everything taken care of for us. The staff were so friendly and accommodating. The venue and scenery was gorgeous. Not one detail was missed. Gina even helped out with her own personal jewelry when we noticed I had left my wedding jewelry at home. 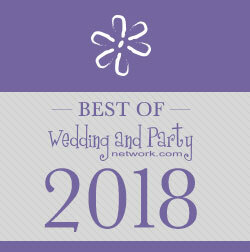 The best no stress place to have your wedding or other special event at. Let's see.. where to begin? First of all the people were Amazing Super nice and Supportive!! I couldn't have ask for a better staff or should I say Friends! The facility, the set up and Of Course the view.. Incredible!! Gena has Some skills on decor .. Love Love Love!!! THANK U Gena and staff.. U made our day SO Pleasant and Special! Lake Breeze Terrace Made Our Wedding Beautiful! I want to thank Gena for her kindness and knowledge. Lake Breeze Terrace made our wedding beautiful! We could not of had such an amazing experience without her and the Terrace. My new hubby and I highly recommend using Lake Breeze Terrace for all your party and get together needs. we also stayed at the resort for 4 days. The suite we stayed in offered more than what we needed for our stay. It was super clean and comfortable. We will definitely be staying again. Beautiful place to hold your special event and owners that go out of their way to make sure your event is special in every way!! Highly recommend!! It was a perfect place to have my granddaughter's wedding. It was well organized and the table settings were beautiful. The scenery was pretty, too. The owners were very efficient and had everything under control. I would recommend Lake Breeze Terrace for any celebration.